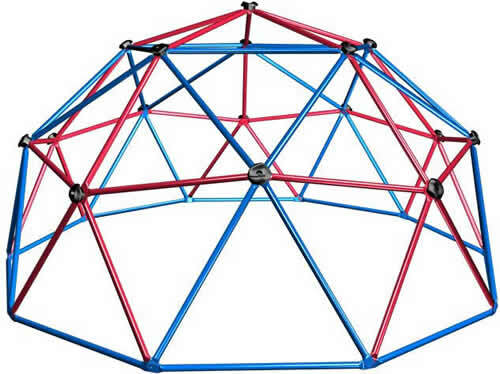 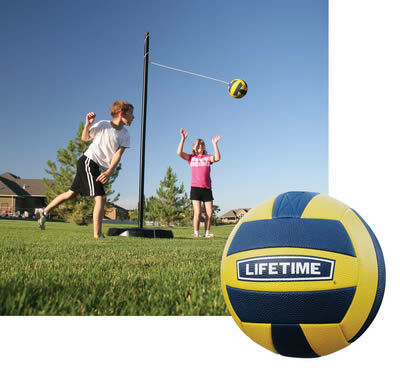 Get your kids out of the house with a Lifetime Sheds brand outdoor playground, playset, swing set, clubhouse, teeter totter, dome climber or tether ball set. 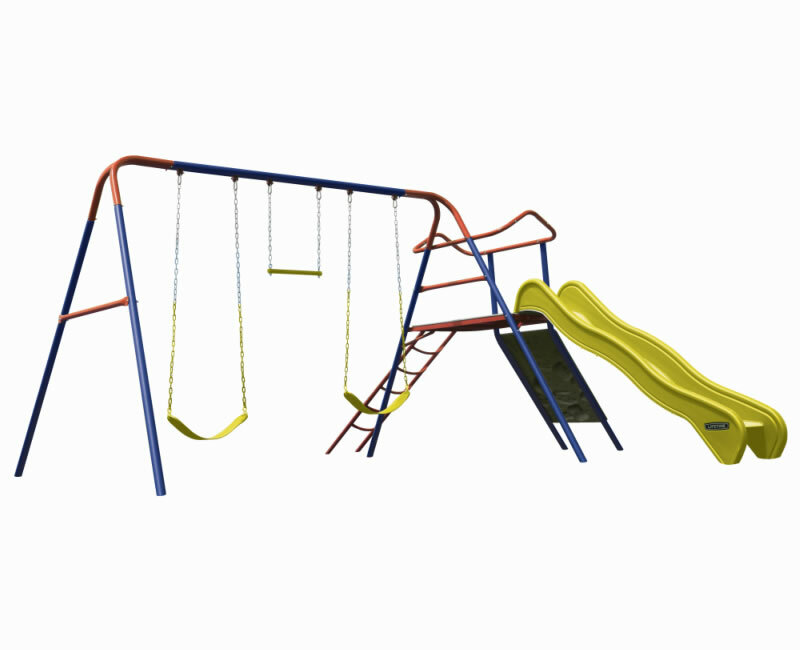 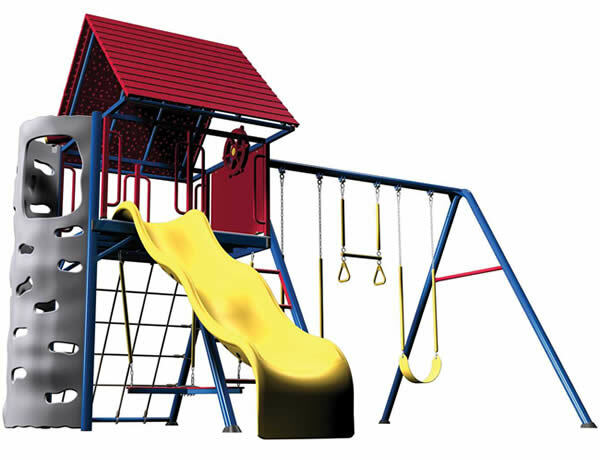 Provide your children with new playground equipment for countless hours of fun and entertainment. 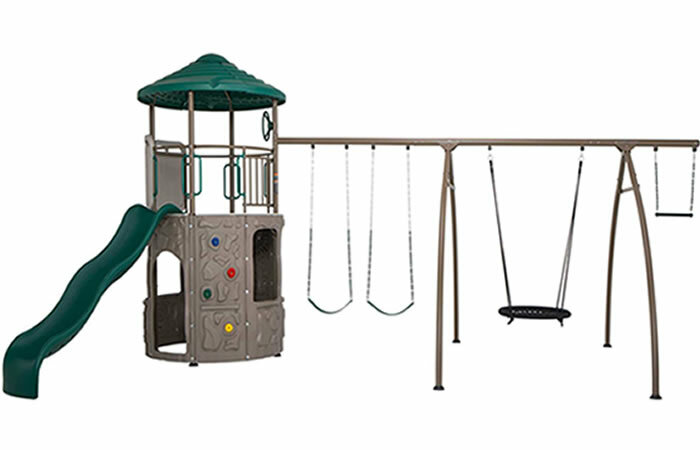 Your kids will love playing on our Lifetime swing sets and playground sets while enjoying the outdoor air and getting exercise all at the same time! 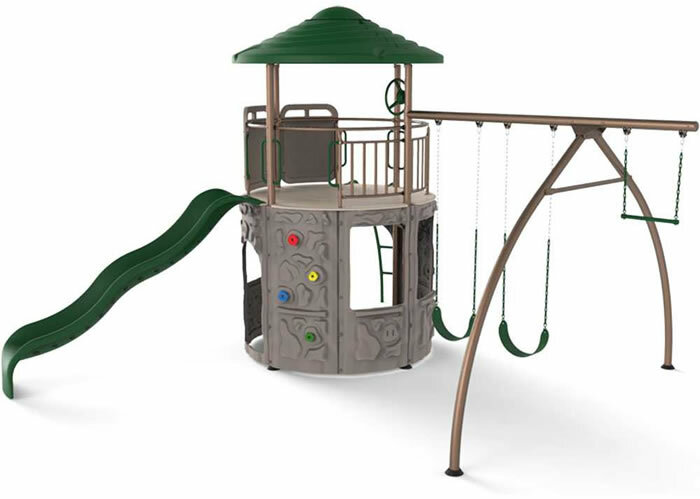 Lifetime builds such high quality playgrounds, swing sets and playsets that they will not only entertain your kids, they'll be around for your grand kids too! 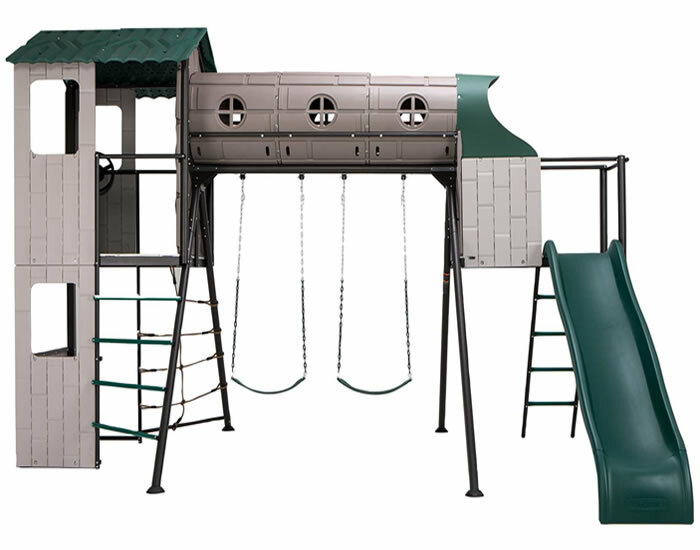 Add a Lifetime shed to your playground or swing set order to store all your kids other toys! 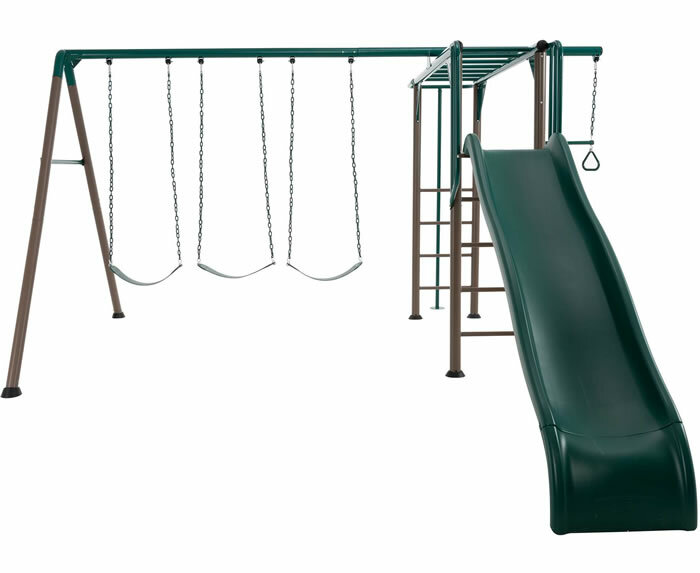 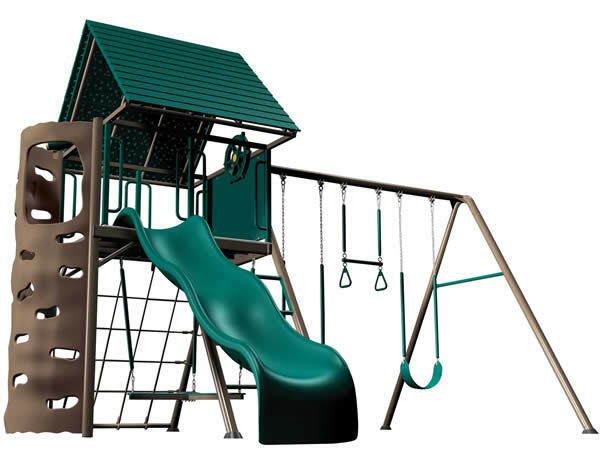 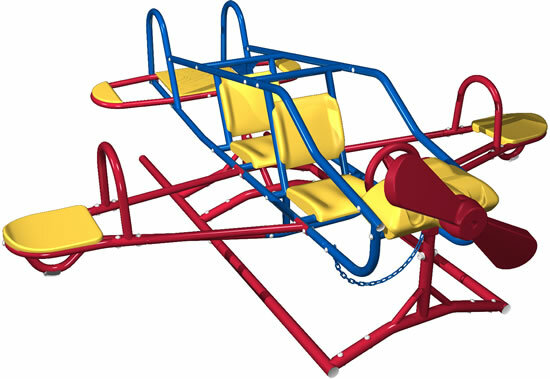 If you have questions about our swing sets and playsets please contact us and we will do our best to assist you! 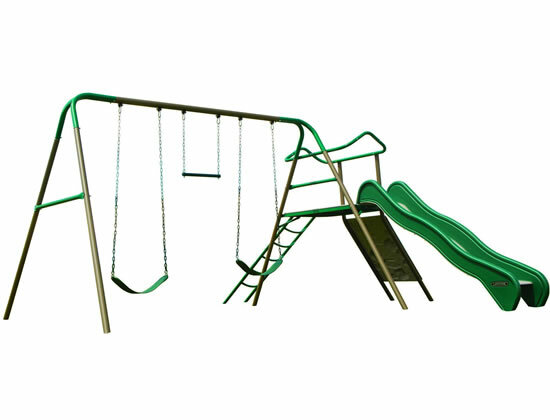 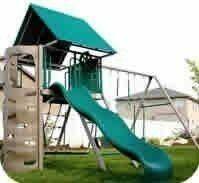 View YouTube videos about our Lifetime Monkey Bar Adventure Swing Sets and Adventure Tower Playgrounds below! 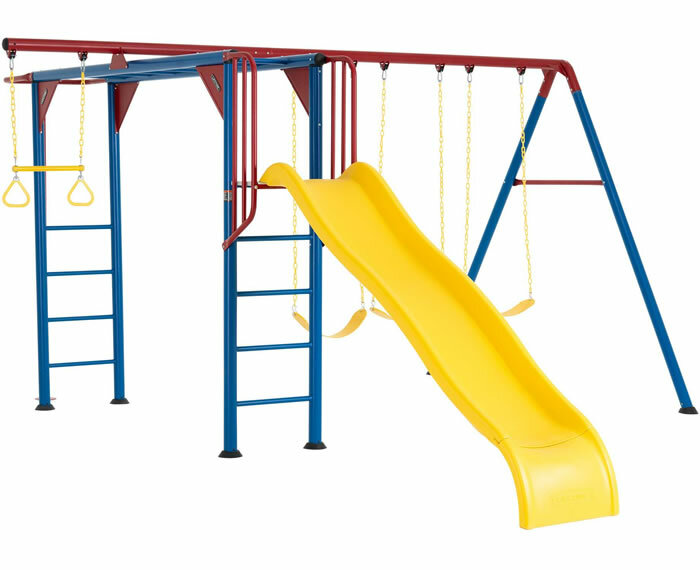 Super large swing set, almost 10 ft. tall! 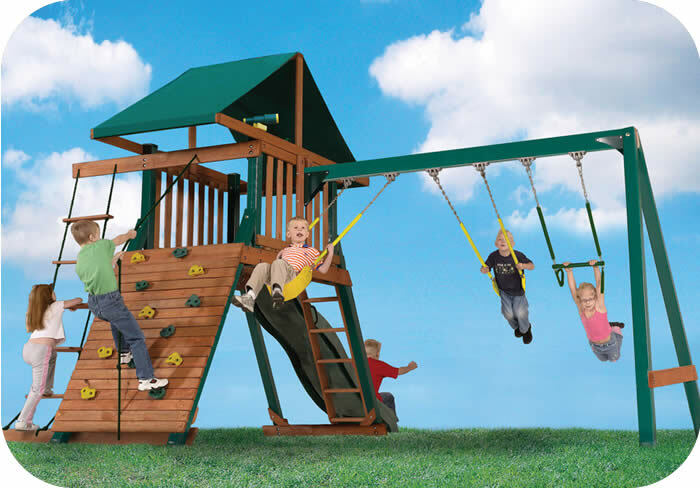 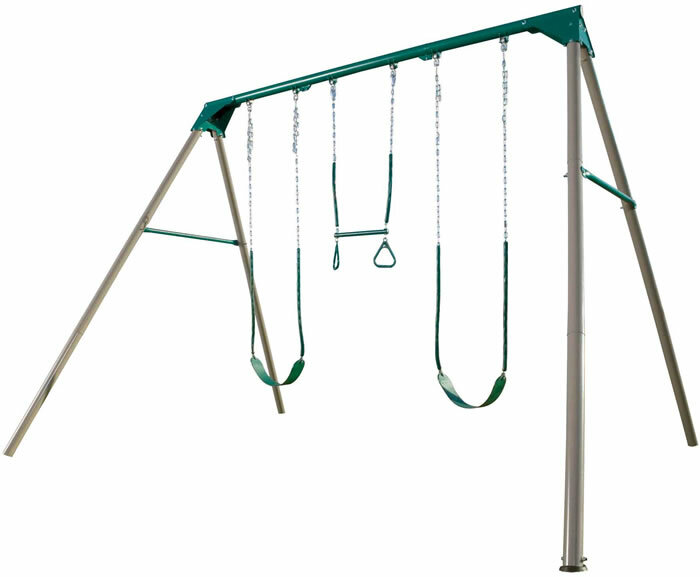 Our Lifetime multi-color swing set comes with 2 belt swings and 1 trapeze bar included! 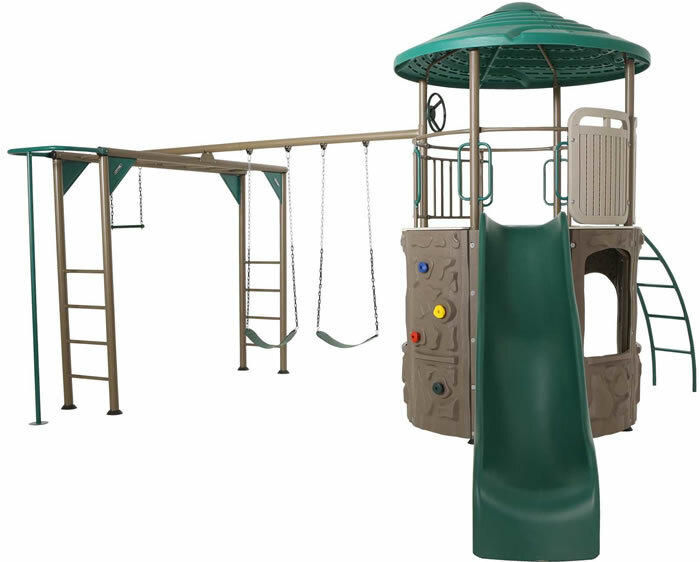 Our Lifetime Adventure tunnel swing set will keep your kids busy outdoors with lots of features from the slide to the climbing walls and clubhouse. 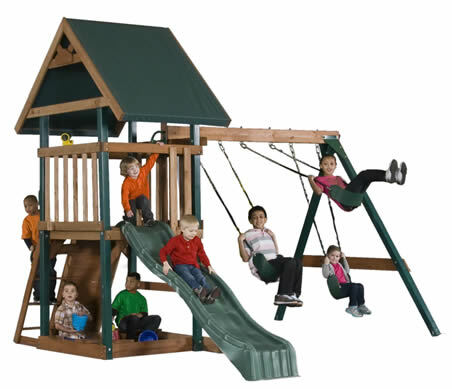 The Lifetime A-Frame Swing Set is a great way to inspire your children to be creative and active. 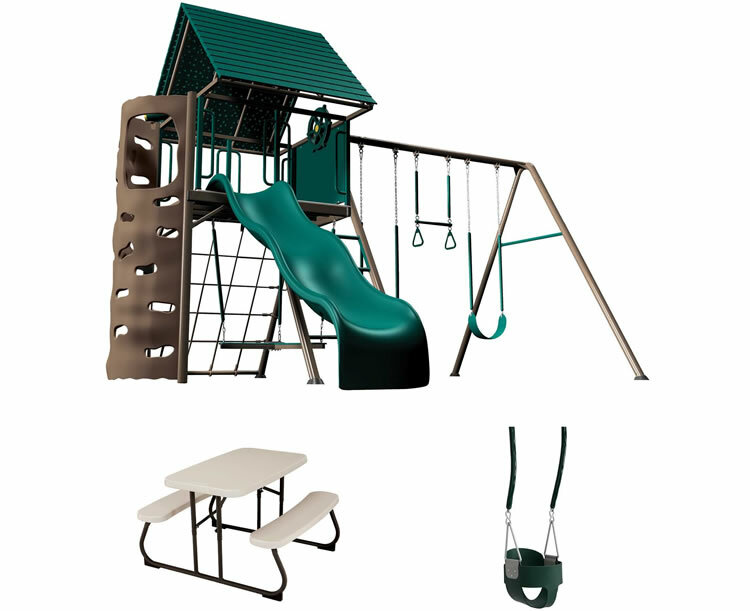 Includes toddler swing and picnic table. 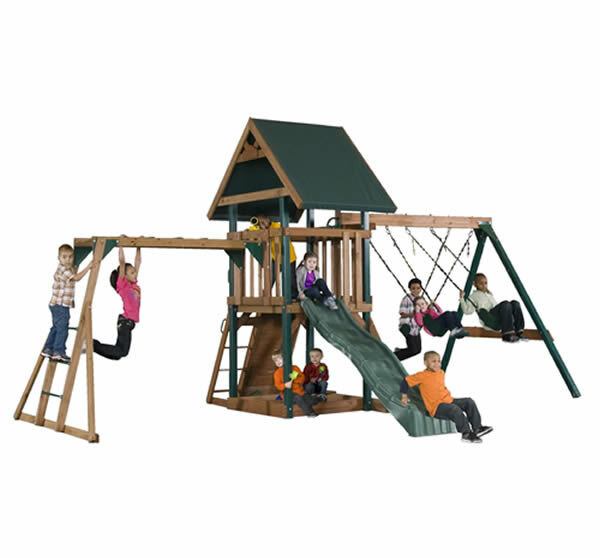 The Shipwell Adventure Tower Playset with Spider Swing from Lifetime Products is full of exciting activities for children ages 3-12.